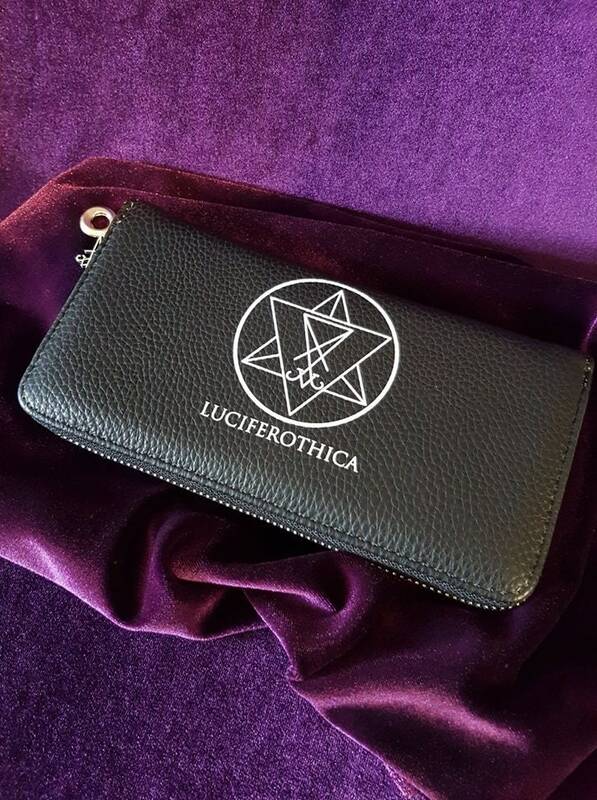 Luciferian wallet from our own brand Luciferothica. 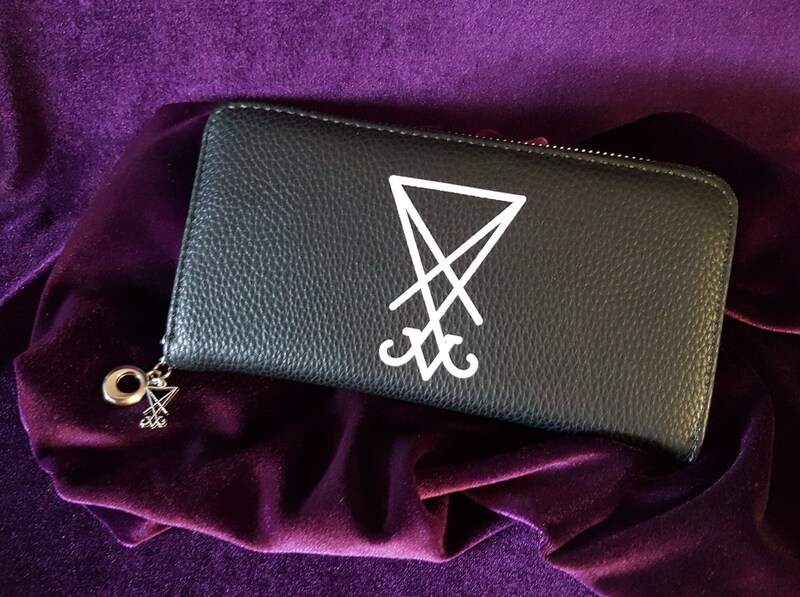 - One printed side with Sigil of Lucifer. 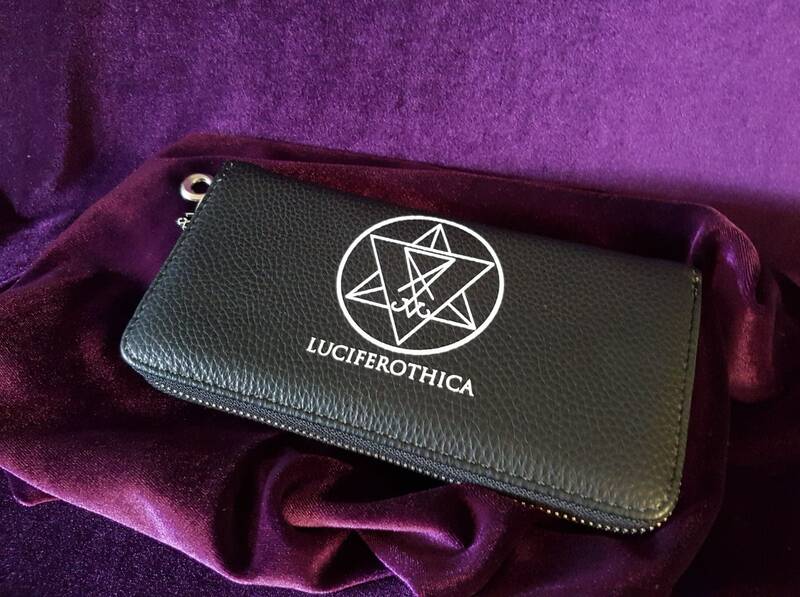 - One printed side with the Luciferothica Logo. 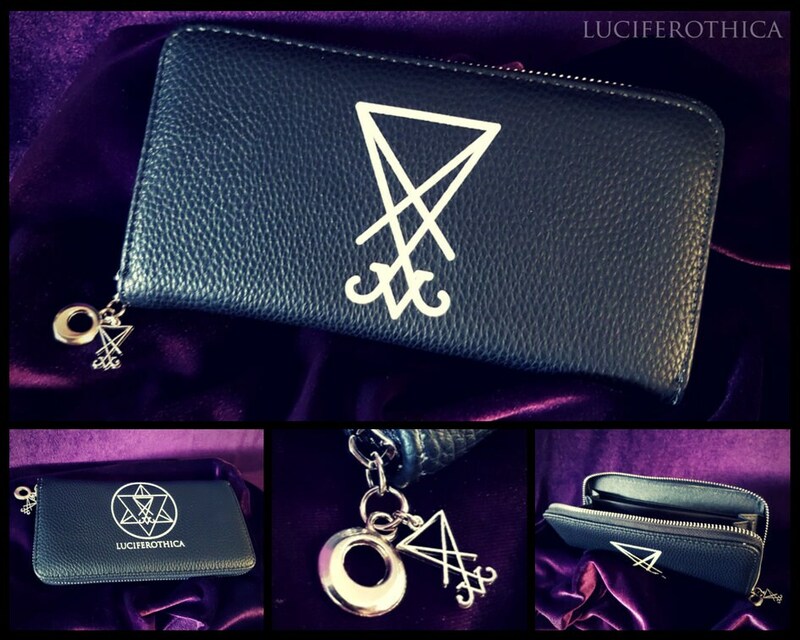 - Mini Sigil of Lucifer attached to the zipper. 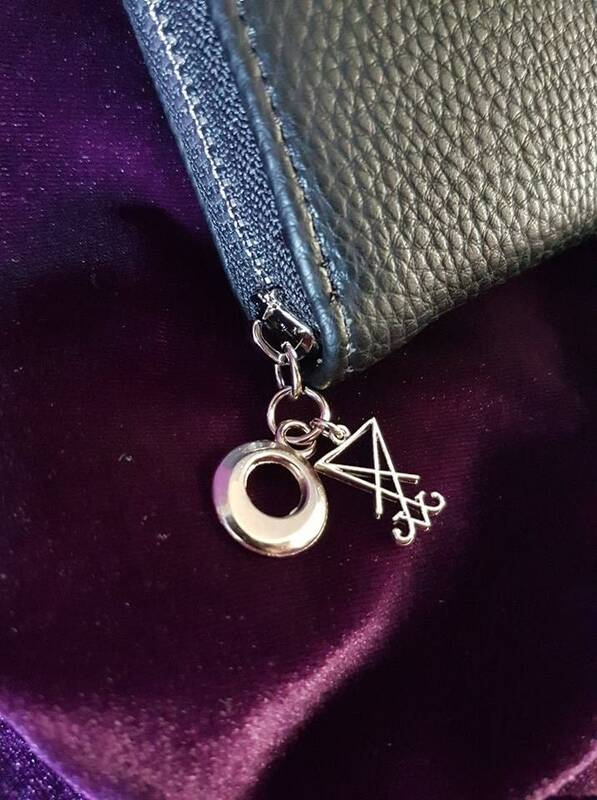 - 8 Credit Card sleeves. 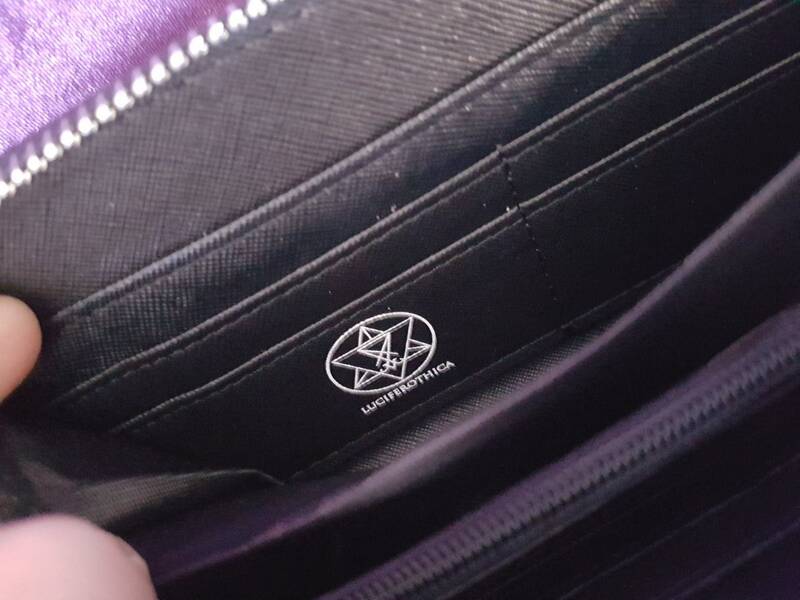 - 2 Big side sleeves. 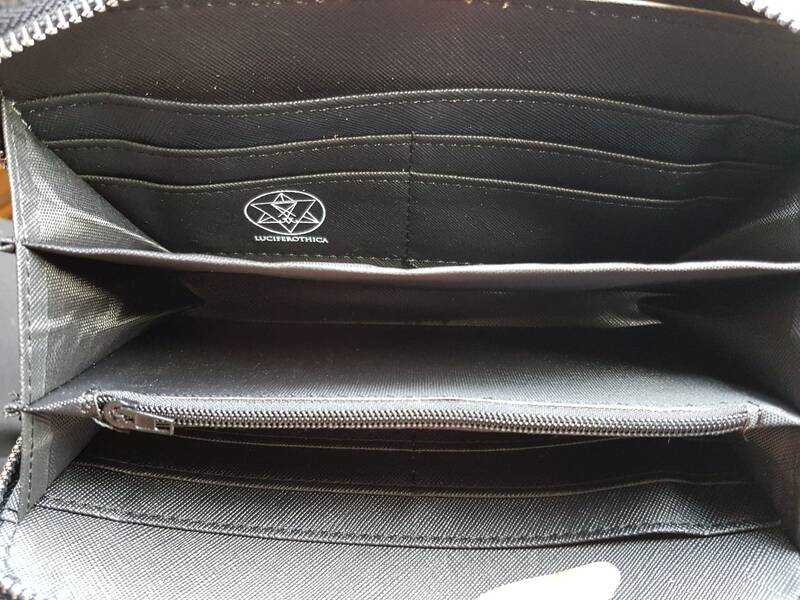 - 1 big middle compartment. 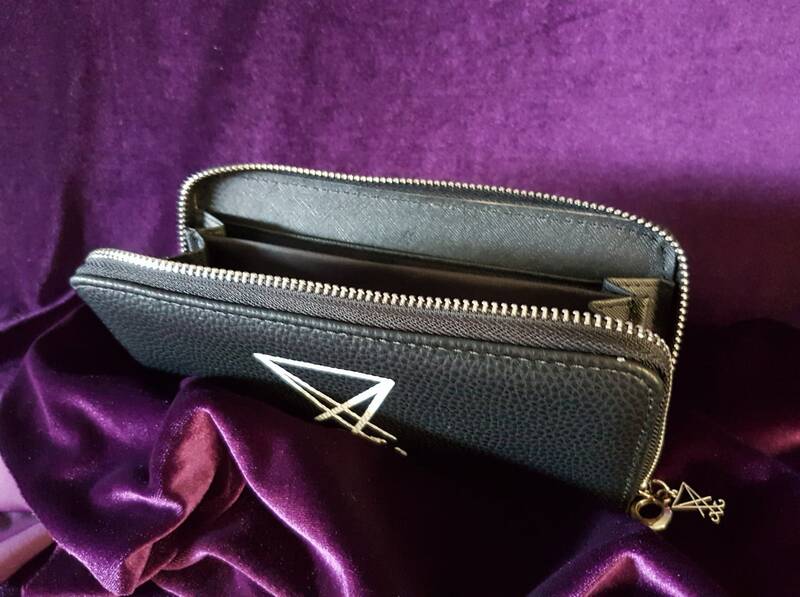 - 2 big side compartments next to the sleeves. 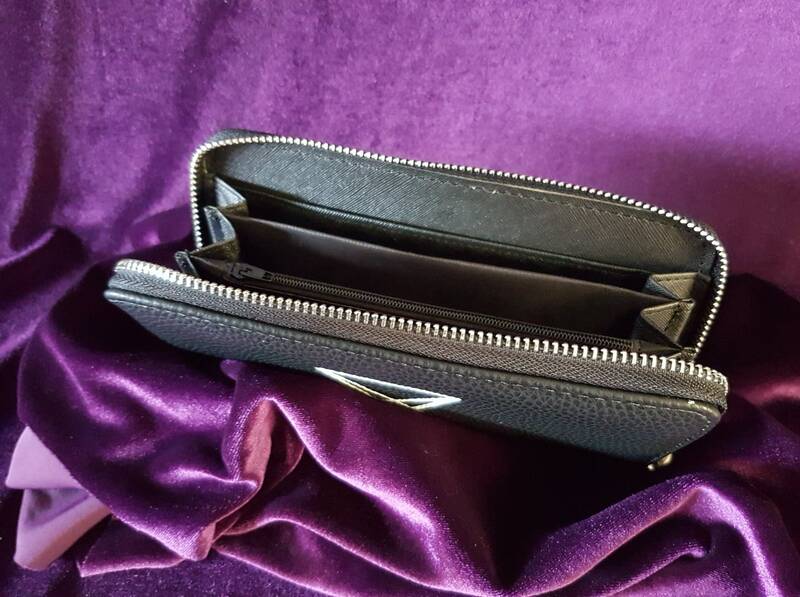 - 1 Big compartment in the middle with a zipper to store your change and coins. 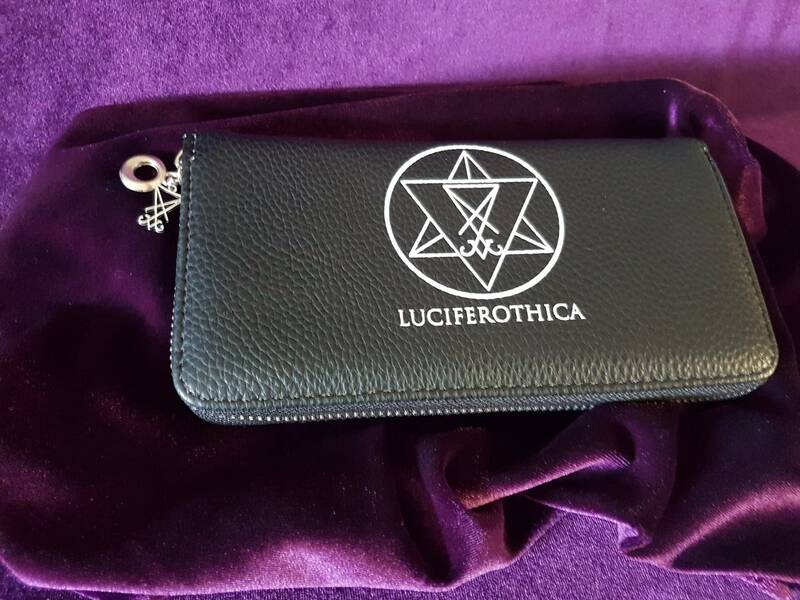 Branded with the Luciferothica logo on the inside.